December 25, 2018 – Announcing the selection of Olga Izmaylova and Sadeer Sabbak among America’s Top 100 Criminal Defense Attorneys® for 2018. 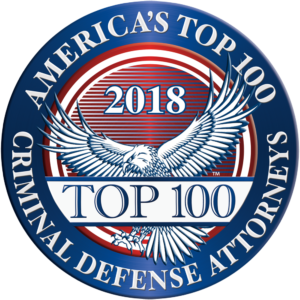 Selection to America’s Top 100 Criminal Defense Attorneys® is by invitation only and is reserved to identify the nation’s most exceptional White-Collar and General Criminal Defense Attorneys in throughout the nation. Candidates are carefully screened through comprehensive Qualitative Comparative Analysis based on a broad array of criteria, including the candidate’s professional experience, litigation experience, significant case results, representative high stakes matters, peer reputation, and community impact in order to rank the candidates throughout the state. Only the top 100 qualifying attorneys in each state will receive this honor and be selected for membership among America’s Top 100 Criminal Defense Attorneys®. With these extremely high standards for selection to America’s Top 100 Criminal Defense Attorneys®, less than one-half percent (0.5%) of active attorneys in the United States will receive this honor — truly the most exclusive and elite level of attorneys in the community. Super Lawyers® selected Sadeer Sabbak and Olga Izmaylova to the 2019 Rising Star List for Criminal Defense Lawyers in Georgia. Every year Super Lawyers selects attorneys using a patented selection process that involves peer nominations, independent research and peer evaluations. The Rising Stars list recognizes no more than 2.5 percent of attorneys in each state. Sadeer Sabbak and Olga Izmaylova named “Top 40 Under 40” for criminal defense. The National Trial Lawyers is a professional organization comprised of America’s top young trial attorneys. Membership into The National Trial Lawyers: Top 40 under 40 is by invitation only, and is extended exclusively to those individuals who meet stringent qualifications and specialize in the legal practice of criminal defense or civil plaintiff. Sadeer Sabbak and Olga Izmaylova each received the Avvo Clients’ Choice Award for 2018. This award is given to attorneys that receive five or more 4+ star reviews in a calendar year. For two years in a row, The American Institute of Criminal Law Attorneys named Sabbak & Izmaylova, LLP one of the 10 Best Law Firms in Georgia for Criminal Defense. The Institute has also recognized Sadeer Sabbak and Olga Izmaylova individually, with each being named as a 2018 AIOCLA’S 10 Best in Georgia For Client Satisfaction. We congratulate Sadeer Sabbak, Olga Izmaylova and the Law Firm of Sabbak & Izmaylova, LLP on these achievements and we are honored to have them as AIOCLA Member. Olga Izmaylova and Sadeer Sabbak named Top 10 Criminal Defense Attorneys Under 40 in Georgia. The National Academy of Criminal Defense Attorneys stated purpose is to provide the public with the most accurate and up to date information and qualified criminal defense attorney listings in their state to represent them.